Established by Congress in 2007, National Teen Driver Safety Week (NTDSW) is held annually during the third week of October (October 15-21, 2017). The week is dedicated to raising awareness of the tremendous risks teens confront on the roadways and seeking solutions to preventable teen deaths and injuries on the road. The goal of the week is to educate adults and teens and get parents and schools administrations involved to encourage and focus on teen driver safety throughout the year. According to the National Highway Traffic Safety Administration (NHTSA), motor vehicle accidents are the number one cause of teenage deaths (ages 15-to-19) in the United States. In fact, in 2014, there were 2,679 teens (15 to 19) passenger vehicle drivers involved in fatal crashes and an estimated 123,000 teens were injured. Teen accidents and highway deaths occur as a result of the following young driver distractions and behaviors: inexperienced drivers, driver errors, drinking alcohol, not wearing seatbelts, fatigued driving, speeding, texting, cell phone use, driving with multiple teen drivers and more. NHTSA’s website, www.safercar.gov/parents, has detailed information and statistics on teen driving and five basic rules that parents can use to help save the lives of teen drivers. 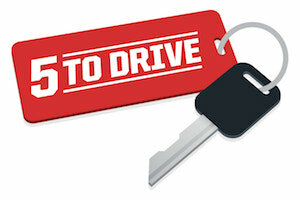 Parents can help protect their teen drivers by talking with them about these risks. Surveys show that teens whose parents who are involved and set firm rules for driving typically engage in less risky driving behaviors and are involved in fewer crashes.